Michael Lewis is an amazing writer. I say this even though I have never read a book by him. I watched two films based on his books. The first one was Moneyball. I loved it ability to tell the story how major league baseball was transformed by a few statistic geniuses. Lewis, I recently found out, also wrote a non-fiction book about the financial crisis, portraying a small number of renegades who not only saw the financial crisis coming but also bet their money on it. They would only make money if the bond market would fail. 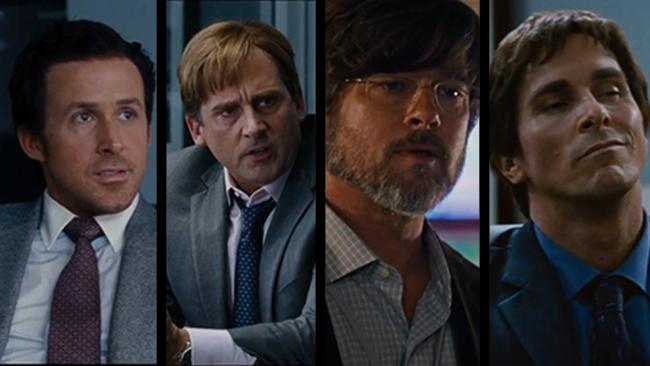 The narrative is so good that The Big Short was turned into a major Hollywood motion picture. The film, as the book, follows five different characters who all predicted that the financial crisis would come and bet on this outcome. I had not known about this gang of fives until I saw a preview of film. If you are interested in understanding how the financial crisis in 2007/8 came about, I highly recommend this film. The director has done a marvelous job trying to explain complicated financial products in simple and comical ways. I predict that his film will survive and anyone trying to learn about the financial crisis in 2007/8 in a hundred years from now will watch this film. This entry has been viewed 247 times.